The old part of this spectacular medieval walled city is known as the Fes-el-Bali. Everything that encompasses Moroccan culture and life can be found here. 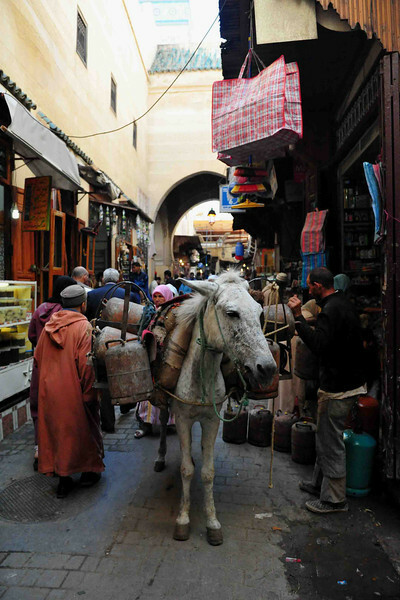 It is not uncommon for merchants to navigate the narrow streets and bring in needed supplies and fresh food strapped to a donkey.